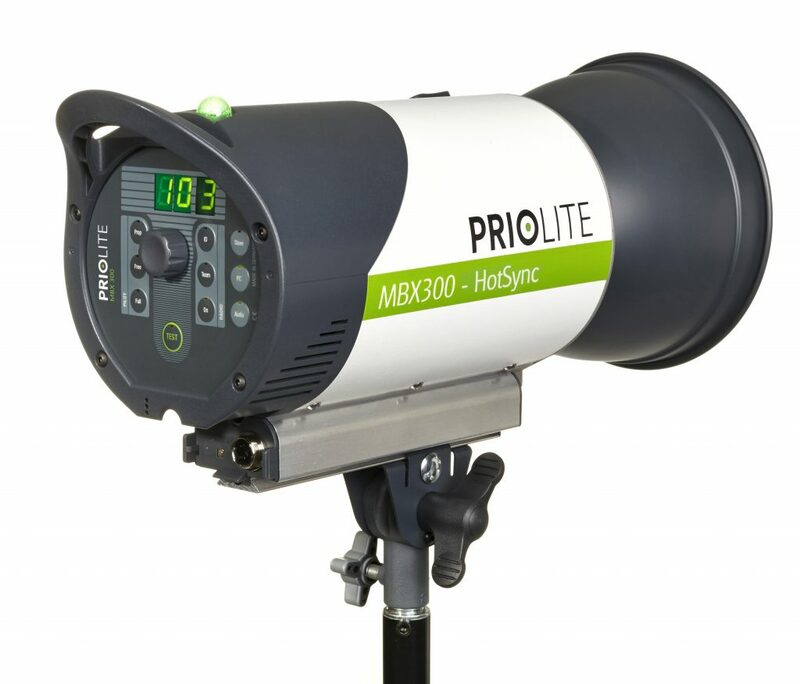 Priolite North America and Priolite GmbH, Germany, are proud to announce a new addition to the Priolite family of HotSync capable strobes, the 300Ws Li-Ion battery powered MBX300 HS. Similar to the already available Priolite MBX500 HS, the MBX1000 HS, and the M-Pack1000 HS, the new MBX300 HS is able to synchronize its light output to select Nikon, Canon, and Pentax cameras with the help of the Priolite Hot Sync System at up to 1/8000th of a second1. Utilizing the entire range of possible shutter speeds, the Priolite Hot Sync System allows photographers to shoot with wide-open apertures in sunlit environments, freezing motion of fast moving objects, and enables them to create images difficult or impossible to capture before. The ability to remotely control high-powered battery operated studio strobes anywhere between 9Ws and up to 1000Ws per light2 with the Priolite Remote Control opens up endless possibilities for creatives all around the world. “High-powered strobe photography at shutter speeds of up to 1/8000th of a second, combined with the ability to operate any of the Priolite Hot Sync strobes at any power setting and without the need for an outlet, truly represents a quantum leap forward for most owners of Canon, Nikon, and Pentax cameras,” says Joachim Renschke, the CEO and founder of Priolite GmbH. By using the 2.4 GHz spectrum, the Priolite Remote Control supports 4 groups, 9 different ID’s in each group, 1/10th of a stop power adjustments, and remote control of modeling lights wherever your next assignment might take you. Photographers now no longer have to rely on generators while on location, searching for outlets, or running wires when setting up their lights. 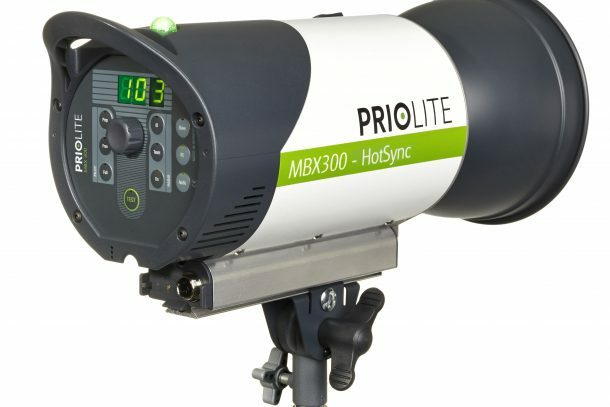 “With many of my assignments on location, I am excited about Priolite’s continuing development of their Hot Sync System, and in particular this new MBX300 HS. Being able to add some fill-light easily and without the need for a power outlet makes these smaller and lighter units ideal for professionals on the move. Whether you shoot weddings, events, or portraits, the new MBX300 HS is a powerful, portable and very affordable companion, and just like the MBX500 HS, the MBX1000 HS, or the M-Pack1000 HS, this strobe allows you to sync flashlight to your camera at up to 1/8000th of a second. The MBX500 HS is easy to carry, so I can fit two of them in a backpack with room for other equipment, and be on my way,” says Alex Munoz, professional still and motion photographer from Los Angeles, California.